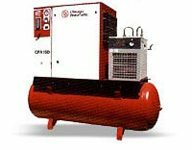 Tank Mounted Air Compressors are especially suitable for new or independent installations where compressed air with a low noise level is needed. 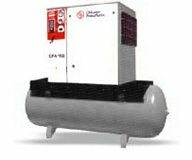 The unit consists of a compressor and tank. Especially suitable for installations near which compressed air is needed or as an extension to existing installations.